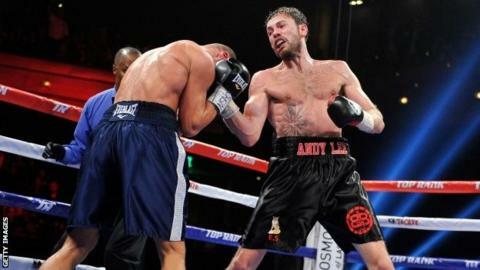 Andy Lee clinched the vacant WBO world middleweight title with a sixth-round stoppage victory against Russian Matt Korobov in Las Vegas. Lee, 30, who was born in London and represented Ireland at the 2004 European Championships, won the belt in his 36th professional contest. He landed a right hook in the sixth and followed that with more punches before referee Kenny Bayliss stopped the bout. This victory sets up a contest between Lee and Billy Joe Saunders. The Englishman, who beat Chris Eubank Jr on a split decision last month, is the mandatory challenger for the WBO title and that fight could take place in Ireland. Korobov, 31, suffered the first defeat of his 25-fight professional career, while Lee has now won 34 of his 36 fights, with 24 of those victories coming inside the distance.